Any square matrix is called as Symmetric Matrix if a matrix is equal to its Transposed Matrix. 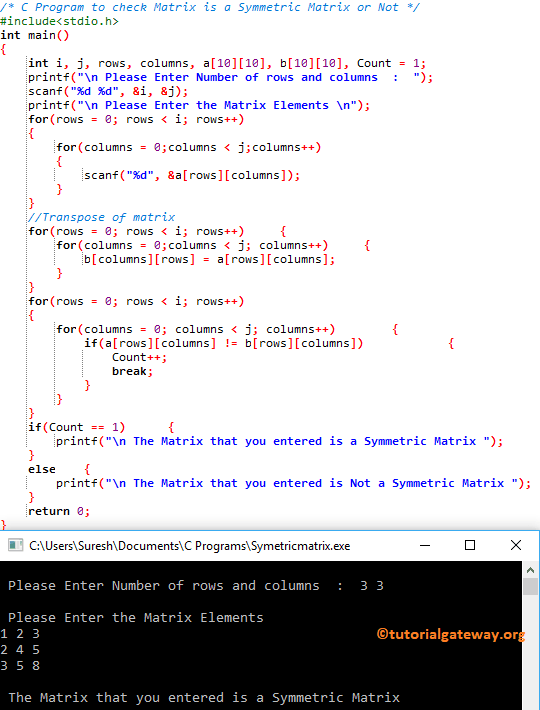 In this article, we will show you, How to write a C Program to check Matrix is a Symmetric Matrix or Not with example. This program allows the user to enter the number of rows and columns of a Matrix. Next, we are going to check whether the given matrix is a symmetric matrix or not using For Loop.